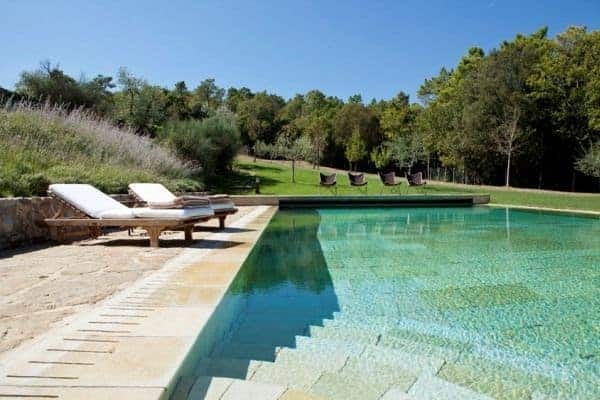 Escape urban chaos and unwind mind, body and soul at this luxury Tuscan property, which is one of a group of 9 elegantly refurbished villas nestled in an estate covered with ancient trees and lush gardens. 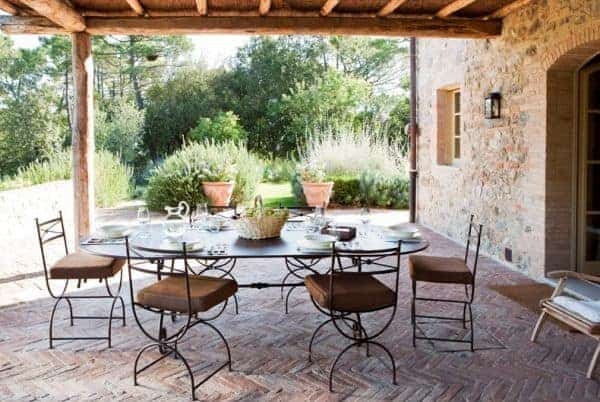 Perched on a quiet hilltop, this luxury villa enjoys breathtaking views of the Val d’Orcia. 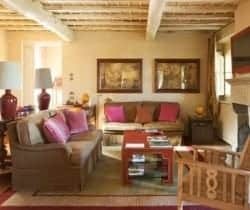 It was once a stone farmhouse and is now transformed into a romantic refuge and hideaway for cosmopolites. 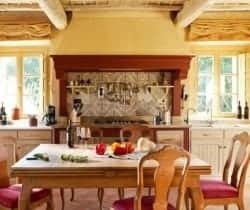 Its restoration is of the highest quality in standard, with due respect paid to maintaining the traditional architecture that is typical of the Italian countryside. The aim, in which the owner has succeeded, was to create an unforgettable luxury holiday stay for guests. The property is also a kilometre from the estate’s centre (‘Il Borgo’), where there’s also a bar, shop and restaurants. You can by arrangement make a reservation for some deluxe pampering and relaxation in the ultra-modern spa, which includes sauna and hammam. For outdoor purists, there are many open-air activities: a vast range for you to enjoy from golf, tennis and bocce, to nature hikes, horseback riding, mountain biking, and more. You will be in the heart of Tuscany, a mere 12 kilometres from Montalcino, which allows you also plenty of opportunity also to discover the cultural and culinary heritage of the region. 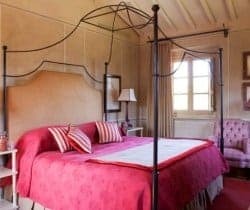 Uniquely framed by a lush garden filled with lavender and rosemary bushes, and views onto the park, this luxury villa is a traditional house that can accommodate up to 6 people. 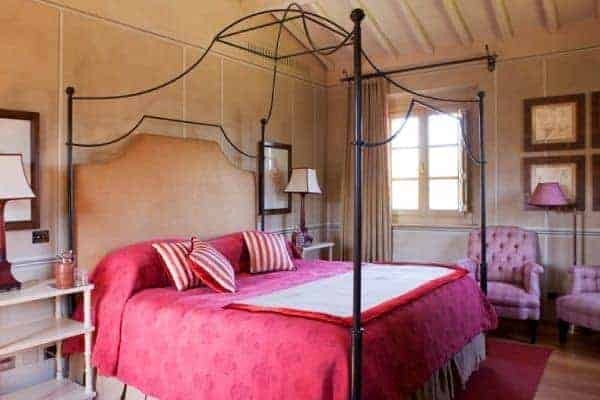 There are 2 cosy bedrooms in the main villa and one in the adjacent guesthouse, and all are fully accessorised with modern facilities for your utmost comfort. 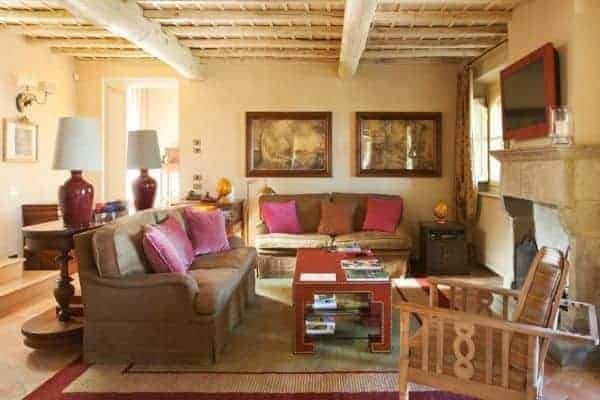 Fabrics in warm toned colours, antiques and paintings decorate the living room, with original stone fireplace intact, and its ambience transports you back to the grace and decorum of country living of bygone age. In the summer the swimming pool – with spacious solarium area – becomes the perfect spot for you to relax and a playground for children. Then, as day turns to night, you can all gather under the pergola of the al fresco dining area. 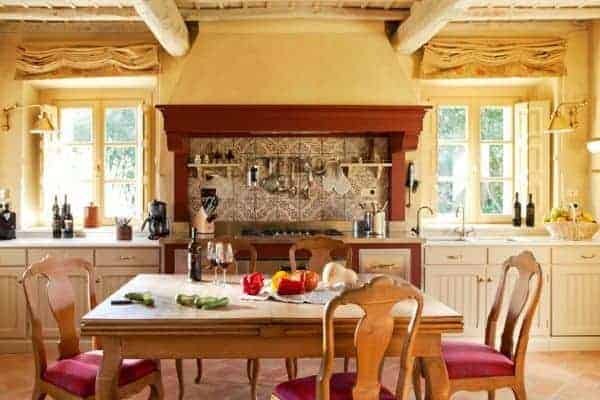 Cradled in the bosom of classic Tuscan countryside, you can relish memorable and leisurely dinners served in your own home; a delightful dream no more! The luxury villa is furnished and equipped to the standards and with all the amenities of a 5-star resort. 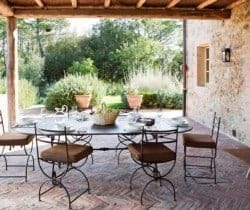 Yet, the villa is also a holiday home perfectly suited to welcome families wanting escape into rustic seclusion and privacy, as well as couples seeking a romantic hideaway in beautiful countryside. Here you will certainly fall in love with the all beauties of Tuscany!